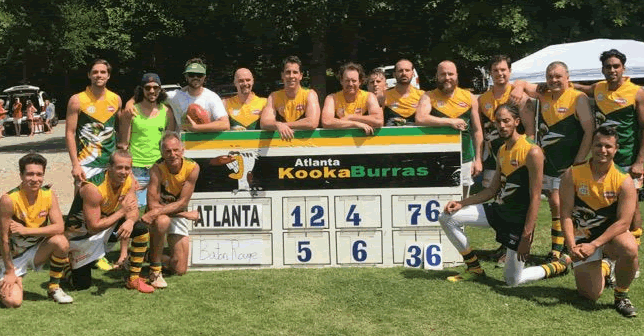 The Atlanta Kookaburras welcomed back past legends and champion players from their 20 year playing history to a great action packed game of footy and social event Saturday night. The game itself was tight all day with current players running rings around the Legends team a lot. But the ole guys were not going to go down without a fight and clawed their way back into the game in the third quarter to take the lead. In a hectic last quarter it was anyone's game but the young Kookaburras held on for a great win. 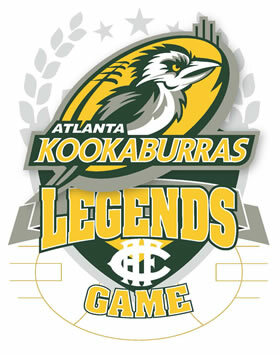 Later in the evening the players, family and friends enjoyed the festivities and hearing the past stories of the greats from the past, reading over presentations lists of every game ever played by the Kookaburras, Most Games and Goals lists, watching slideshows of hundreds of photos and then listening to the announcement of the 20 Year Team of Champions. Of course there were a few surprise names in that team that was selected by club legends themselves, and a few that were unlucky to not make it. 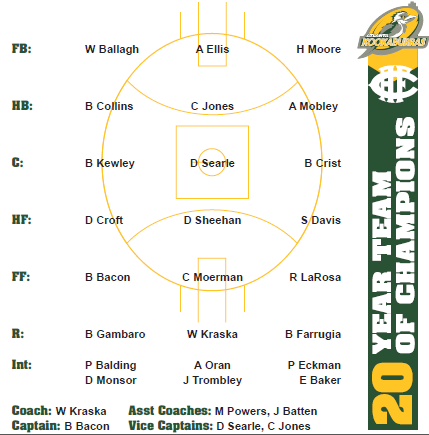 Current Kookaburras Head Coach Brent Bacon was named Captain of the team with Curtis Jones at CHB and Center Daniel Searle his Vice Captains. Wayne Kraska was named Head Coach with club founder Mike Powers an assistant coach with also fellow Life Member Jim Batten also an assistant coach. 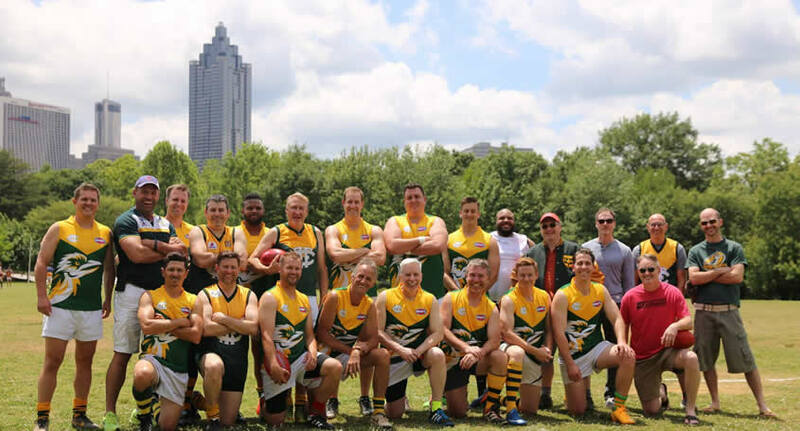 The team that has 6 interchange players selected has 12 Australians and 12 Non-Australians per the USAFL game rules that the club initially came under when commencing to play in the late 90s. Notable players selected were goal kicking extraordinaire Chris Moerman at Full Forward with Half Forward Flank selection and former Captain & MVP David Croft they both hold the most goals in a game record of 11. At the blue ribbon Center Half Forward position Damien Sheehan was the pick, a player that was drafted from Port Adelaide to Carlton in the early 90s and as you could imagine starred for the Kookas in his shortish two year game career in Atlanta. The Atlanta Kookaburras would like thank everyone for attending and making it such a great day and night of celebrations and many thanks to those that made it happen. Commemorative T Shirts are now also for sale for a limited time in the Kookaburras Online Store with this link, grab one before they are all gone.